While cycling enjoys a growing popularity in Mexico among children and adults – for recreational, fitness and social use, the local bicycle industry is facing its worst downturn in history. The Mexican bicycle industry is heavily suffering from low-priced foreign imports. The total value of the Mexican bicycle market was estimated at 1,200 million pesos (€57.8 million) for 2010. The total value of the Mexican bicycle market was estimated at 1,200 million pesos (€57.8 million) for 2010. 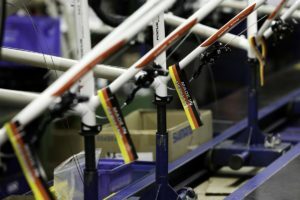 This year the Mexican cycling industry, as represented by the National Association of Bicycle Producers (ANAFABI) will manufacture an estimated 1,918,020 units. 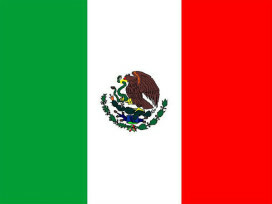 In 2006 the output of the Mexican industry was still producing 2,843,433 units annually. Mexico’s main concern is the influx of extremely cheap bicycles made in China especially for kids and young people. According to ANAFABI some 75,000 bicycles were imported last year at a price of €2.41 including freight. Not surprisingly, the Mexican bicycle industry is struggling to deal with these amazingly cheap imports. After 2005, when the national production peaked at 3 million units, the output of the Mexican started to decline to its current level of 1.9 million units. The ANAFABI requested a new investigation to prolong the anti-dumping duty. Export performance by Mexican bicycle manufacturers is very limited. ANAFABI statistics show that the exports account for only 1% of total production, marketed mainly in Central and South America. In 2010 some 20,000 units were sold abroad. The import of low priced Chinese made bicycles is not the only threat for the Mexican bicycle industry. The growing popularity of cycling in the past years has not gone unnoticed by global A-brands. For example Trek Bicycle recently opened its own office in Mexico. The opening of Trek’s latest subsidiary in Mexico is a clear indication of the growing importance of the Latin and South American bicycle market for the US bicycle brands. The decision of Trek to change from distribution only to a fully owned subsidiary in Mexico allows the company to take full advantage of its global retail support infrastructure. Another well known brand that recently entered the Mexican high end market is Ridley. The Belgium manufacturer of mainly road race bicycles increased its presence in Mexico by appointing Biciclo as its representative. Ridley also entered other South American markets via new distributors such as Express Imports in Brazil, Trizone in Panama, and Ciclozona in Venezuela. Although the market is still small there is a future for e-bikes in Mexico. The number of suppliers is still limited by a few players. One of them is Zilent, a company mainly dedicated to selling electric cars. 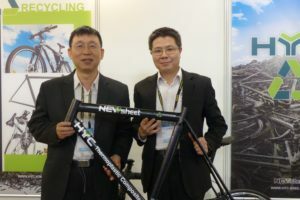 Nevertheless they expect the e-bike market to grow and for that reason they put e-bikes in their product portfolio. 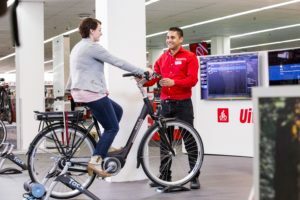 Their complete range contains 2 e-bikes and 3 e-scooters. 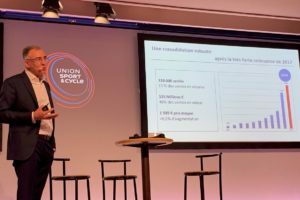 The price for e-bikes and e-scooters put on the market by Zilent ranges between €245 and €585. According to Zilent they sold approximately 2,000 two wheelers last year. 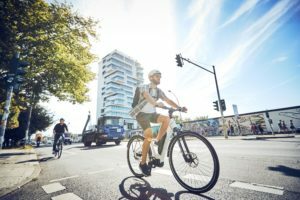 Surprisingly enough, the early adopter of e-bikes are not elder people, but young people looking for a faster alternative to commute to work, as well as companies like pizza and sushi delivery services. EcoBici is the transportation system in Mexico City serving the districts of Cuauhtémoc, Juárez, Roma Norte, Hippodrome Countess and Countess. Some 1,114 bicycles can be rented at the 86 stations throughout the city. These “Cicloestación” are situated within 300 meters of each other and are located at strategic points.